Colonial Capital, established in 2003, is a regional, privately held lending firm. We specialize in providing asset-backed short-term bridge financing. As a direct lender, all aspects of the loan process are managed internally, allowing Colonial to originate, underwrite, structure and fund without delay. Our approval process has been built for speed and certainty of execution. 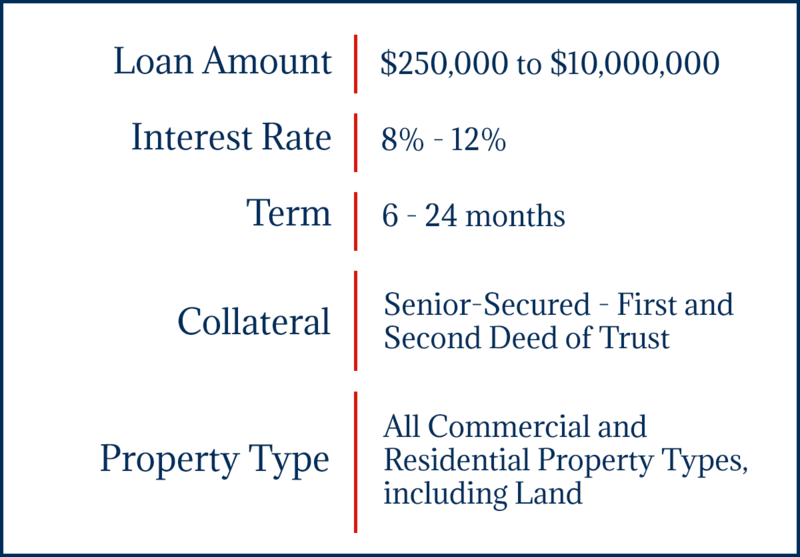 We understand that the right loan is critical to the bottom line of your commercial real estate project. You need loan options and you need them fast. With over 75 years of experience in banking, finance and real estate investments, we have the ability to structure highly customized loans, offering creative and competitive terms to fulfill the needs of our borrowers and their opportunities. Through the examination of both the collateral and the borrower, we are proud to be a solution of opportunities with strong properties, developed by a proven and experienced sponsor. Colonial Capital is a private lending firm based in Phoenix, AZ. We specialize in short-term, asset-backed commercial real estate bridge financing. Colonial Capital was established in 2003 and with over 50 years of experience in banking, we have the ability to structure highly customized loans, offering competitive terms with a high degree of flexibility to fulfill the needs of our borrowers and their opportunities. And as a direct lender and with funds available, Colonial Capital has the ability to fund in days. Our underwriting process has been designed to be simple and efficient. This includes an expedited approval process, ability to close quickly and, most importantly, certainty of execution.